We can all feel the high desert nip in the air as fall pushes its way through the last days of summer. Because the change in the weather doesn’t change blue skies–only the briskness of the temperatures–it’s easy to get excited about the warm colors and sweet smells of fall. 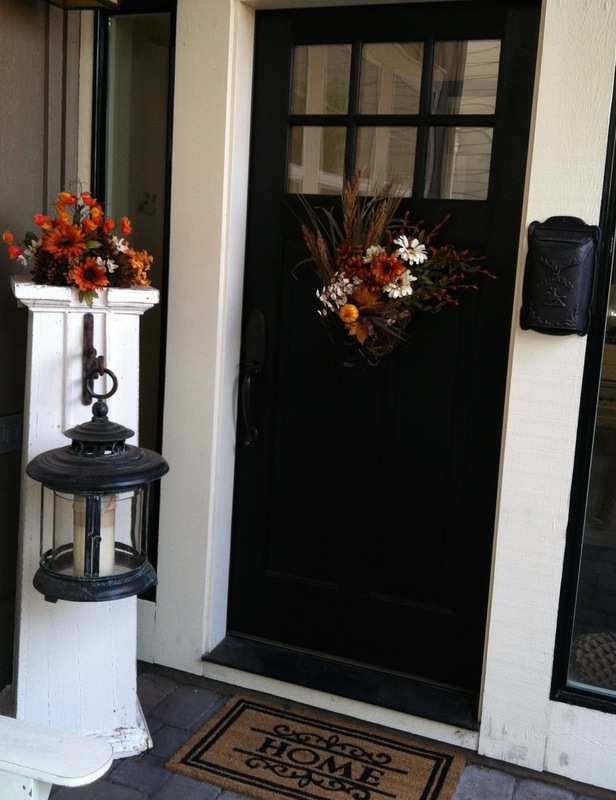 One way to greet fall with open arms, is to showcase it right at the front door when guests come to greet you. 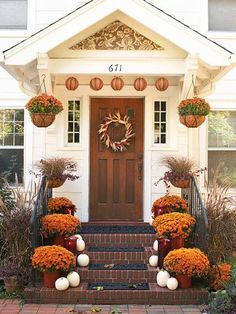 These simple, yet beautiful front stoop fall decorating ideas will create an autumn masterpiece right at the threshold of your gorgeous home. Mums and pumpkins. Create an inexpensive display with a combination of potted mums in a fall color that matches your house, then highlight the colors with white pumpkins. Cozy fall soft goods. 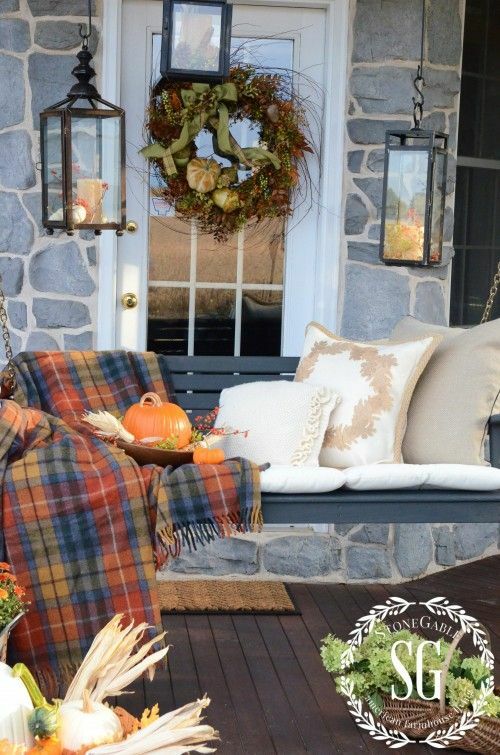 Create the cozy feel of fall on your front porch by adding fall flannels and fabrics to your outdoor sofas, rocking chairs, or porch swings. A fall rug, some outdoor throw pillows, fall-colored candles and a serving tray stacked with pumpkins create a comfy, cozy fall feel. Stacked pumpkin display. 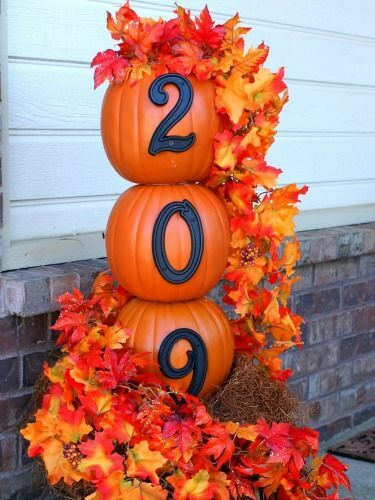 A stacked pumpkin display is the perfect way to display your street numbers while also bringing a little of the harvest season to your front threshold. To do this, you will need to set a pole in a pot filled with concrete, then drill a hole in the top and bottom of each pumpkin and stack the pumpkins on top of each other. Farm fresh display. 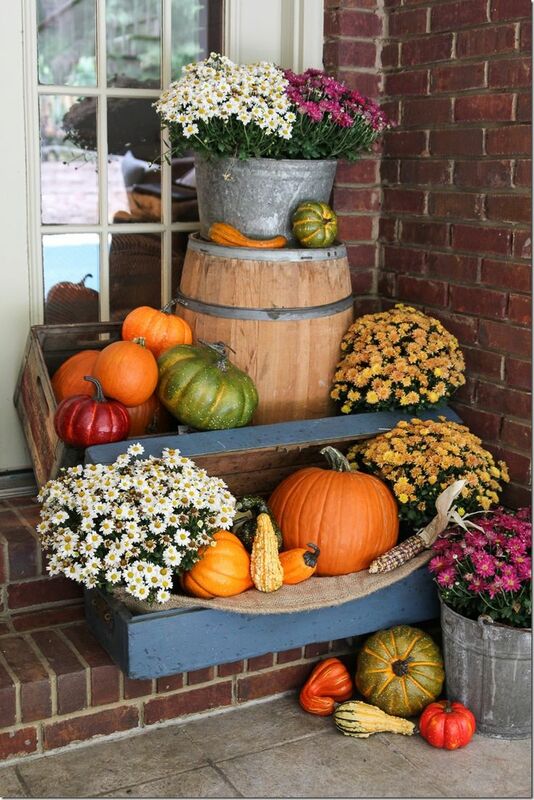 Take a twist on the traditional fall decor and instead opt for a display that has a farmer’s market twist. Think hay bails, fresh flowers, and squash of all colors. Add these ingredients to an old crate, wheelbarrow or wagon. When you feel like a change, simple move the squash from your front door to your kitchen! And don’t forget…this is the perfect excuse to buy from the local farm stands! Choose a warm autumn color palette. 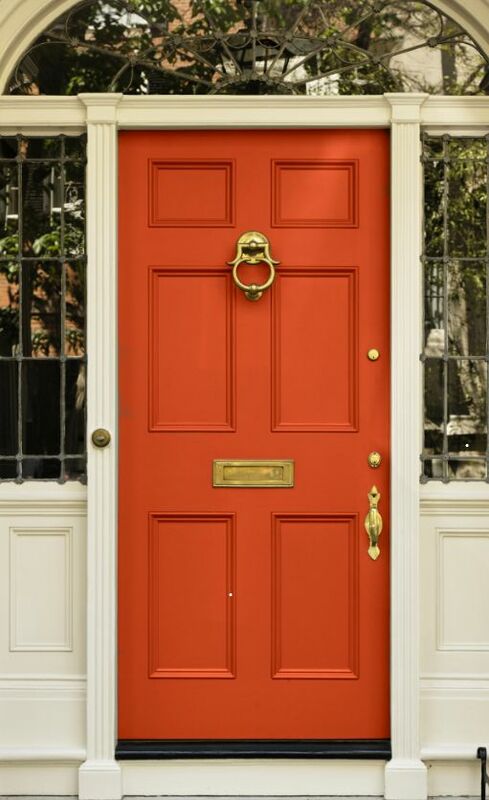 You’ve heard of a red door, but why not try a warm orange door? If you love the colors of fall, choose to enjoy them all year round with a fall-inspired exterior color palette.